Why so blue? – Flawed, Cracked… But Rare! If the Internet were made of paper, reams of it would have been used up to obsess over messages being received and not replied to. 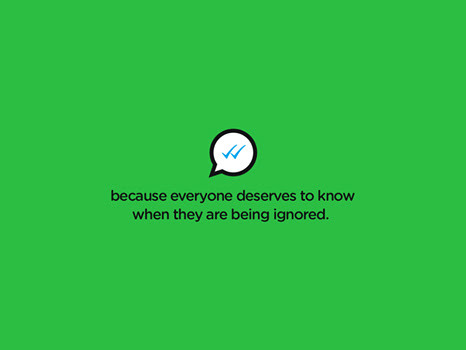 WhatsApp updated to the blue ticks to define that moment when you are being totally ignored. But, what’s so new? I have been seeing the blue ‘D’ in my BBM chat turn a green ‘R’ without a reply so many heartbreaking times that I no longer bother to pick up the broken pieces. Blue ticks or green ‘R’s… whatever the colour of your dismissal, we learn to move on. Shut down the app, hop into your car and go on a drive. Go to the nearest pub and flirt with that really cute guy. Read a book by the window. Put on your favourite ghazals and sit back with a glass of wine. Pick up your pen and write a love note to yourself. Post on your blog.